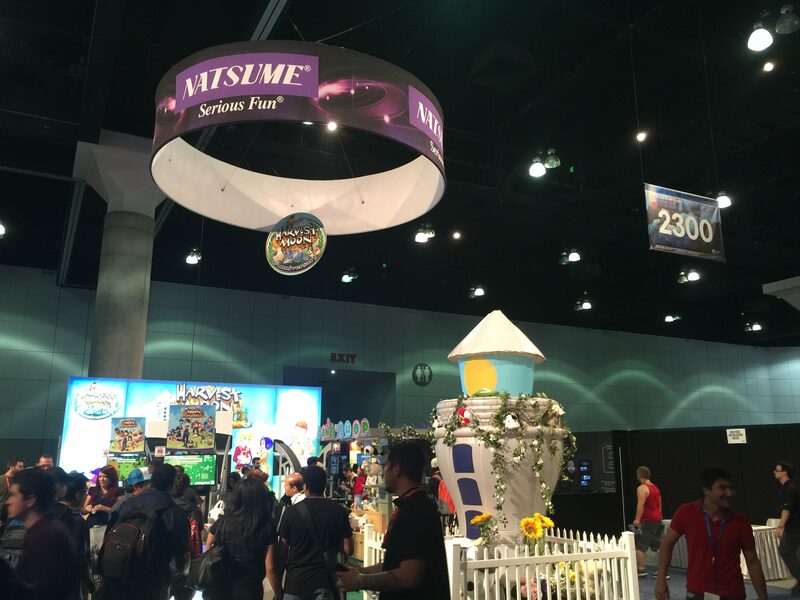 Natsume, Inc., has always had a large presence at E3, and this year, being the twentieth anniversary of the Harvest Moon franchise, was no exception. Benny Carrillo and I caught up with CeeCee, the Community Manager for Natsume, Inc., and we discussed how Natsume, Inc. was celebrating the twenty years of Harvest Moon, the upcoming release of Harvest Moon: Light of Hope, the latest two entries in the River City franchise, and of course, Medabots and Lufia. You can read Benny’s thoughts on Harvest Moon: Light of Hope, Harvest Moon: Lil’ Farmers and River City: Knights of Justice from E3. You can also check out our prior interviews: Natsume: Harvest Moon, Medabots, Chulip, And More: A Natsume Interview [Published April 25, 2016] and E3  Natsume Interview: Skytree Village, Lufia, & More [Published June 30, 2016], and Harvest Moon Turns Twenty, Wild Guns Reloaded, and Switch eShop: A Natsume Interview [Published April 12, 2017]. This interview has been edited for clarity, length, and content. Operation Rainfall (Quentin): This is Quentin H. with Operation Rainfall, and you are? CeeCee: CeeCee, community manager for Natsume [Inc.]. OR (Quentin): We are here today with Harvest Moon: Harvest of Hope. This is a throwback [title] to the Super Nintendo games. How is it a ‘throwback’, and why did you choose to go in that direction for this latest [Harvest Moon] title? CeeCee: We are always experimenting with styles of games that we bring out in the Harvest Moon franchise. So we did [Harvest Moon:] The Lost Valley and [Harvest Moon:] Skytree Village and it was terraforming-based. So you built up the land. In [Harvest Moon:] Seeds of Memories on mobile – [which] was our first mobile game- it had sort of a mix of the new that came from those two [prior] games and the classic sort of throwback. This one, we’ve kind of taken a lot of nods from certain old games like Harvest Moon on the SNES. So it has an overhead view, [plus] it’s going to have a lot of features and functions of the Super Nintendo games. For example, it’s going to have the classic mining. So once you repair the mine – because it’s in disarray right now- you actually dig down into the various floors. And the deeper you go, the better ‘swag’ you get. OR (Quentin): So will the Harvesting Fairies come back in this one? CeeCee: There’s going to be Harvest Sprites, they are definitely a staple of the series – we wouldn’t want to lose our precious Harvest Sprites. And of course, there’s going to be a hot spring just like the older, classic games. But again, because this island is in such disrepair, it’s going to be something you’re going to have to build back up first. And so the idea is [that] when you get marooned on this island, lots of people have moved away and the buildings are in disrepair. And so as you perform your regular farming functions – foraging, breaking up wood and rock, harvesting crops, and caring for your animals- you will gain the materials needed to rebuild the houses and the amenities around town. And from there, you will expand upon the story and you will learn how to repair the lighthouse as well. OR (Benny): So playing through [Harvest Moon: Harvest of Hope] right now, everything is definitely in disarray. On my screen, there’s a bunch of trees and rocks of all sizes. But I’m noticing that I’m walking up to it – the B button is the for the tool, but it changes depending on what you’re doing. So I walk up to a tree, and it will cut it down with the axe, rather than selecting it. CeeCee: Right. And that’s the intuitive tool system that we introduced with [Harvest Moon:] The Lost Valley. And we’ve brought it forward into our fourth game with that intuitive tool system. The idea is, if you have a tool in your bag, we don’t want you to have to break the gameplay immersion in having to go into the bag to equip it, exit out, use it, go back into your bag, and equip something else, and then come back out [again]. When you walk up to a plant, the game understands if it is dry, it needs water. If its been watered, then you ought to fertilize it. If it’s ready to be picked, then you want to harvest it. And so we’ve streamlined the gameplay in that way, but we didn’t want to totally eliminate the hard work. The farm itself is fairly large, and as you clear it out, you will have a fairly large plot of farmland to interact with and plant whatever you want. So the mutations that you have had in previous games are back. And we’re introducing a new tutorial to walk you through them. We’ve also made a special point of introducing fan feedback. And so when you look at an item description, it will say the particular season that they grow in, for example. OR (Benny): So it’s very player-friendly in that aspect. CeeCee: Yeah, that’s the thing. We wanted to make sure that it was challenging, but not obtuse. One of the other things that we’re introducing in our mobile game, Seeds of Memories, we introduced what I call ‘candy animals’: Pink sheep, brown cows, and chocolate chickens. And so the sheep have cotton candy wool, and the brown cows make chocolate milk, and the chickens lay candy eggs. And so they’re a variety of new animals that are familiar, but they provide new items and those items become important in [Harvest Moon: Seeds of Memories]. OR (Quentin): Speaking of mobile games, you have Harvest Moon: Lil’ Farmers. What is that game about? CeeCee: Alright, so Harvest Moon: Lil’ Farmers is for the young and the young-at-heart. It’s been twenty years of Harvest Moon, and a lot of the fans that came into the series in the Super Nintendo or Nintendo 64 or Back To Nature days have grown up and they have kids of their own. And they want to play Harvest Moon too. But, Harvest Moon does have some various [obstacles] – for example, it’s really text heavy. 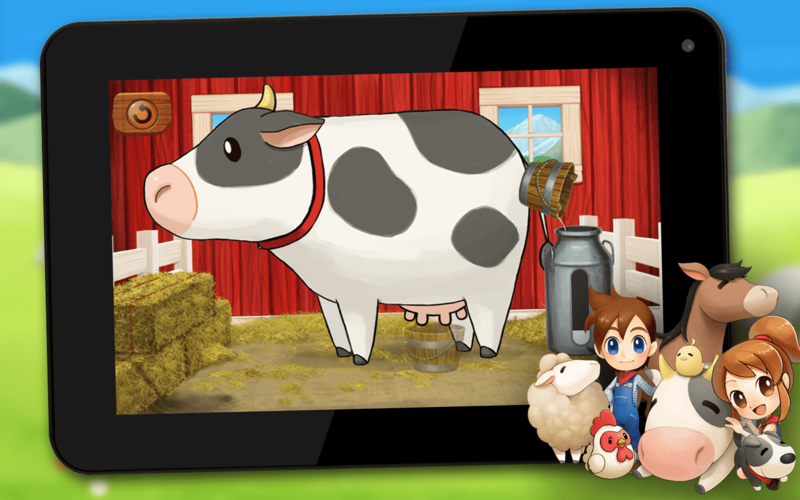 So Harvest Moon: Lil’ Farmers is a game that it is all about intuitive fine-motor movements. And so its for that two-to-seven year-old range. There’s absolutely no text in the game, and its all motion-based. And we’ve tried to make it understandable what motion to make for what will happen [in the game]. And I like the fact that it’s focused on training those motor-skills. For example, when you have to get eggs from the chickens: you have to drag the basket down to the chickens, and then when you tap on [the chickens], you have to pick up the egg and then put it into the basket. You can’t just slash across the egg and get it. You want to do the sheep, you just drag the shears down to them, and then let go. And then you’ll [start that mini-game]. So you again pick up the shears, and you just drag it along until the wool falls off. And once you have a few wool on the ground, you pick them up and put them in the bag. OR (Quentin): Something that is also unique about this game [for a mobile title] is that there are no microtransactions and no fees [to play]. That is fairly unusual. CeeCee: So we wanted to have a game that was very kid-friendly. And so it’s a one-time purchase, with no in-app purchases and no advertising. 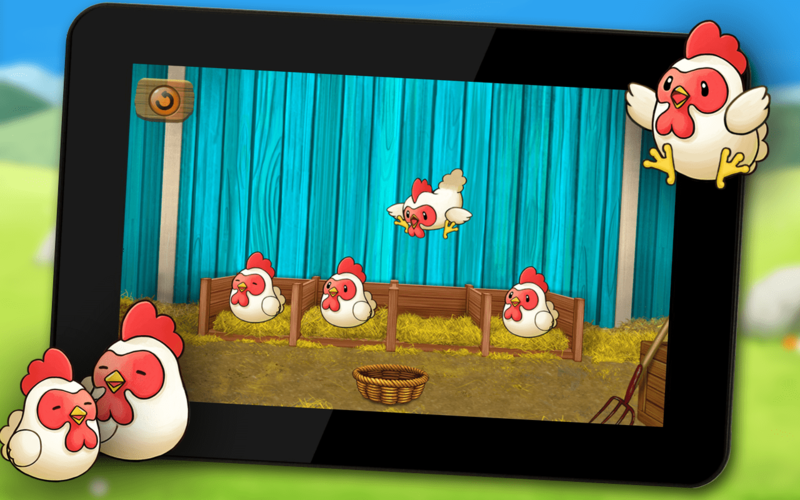 Collecting eggs from chickens and milking a cow are two examples of minigames that are included in Harvest Moon: Lil’ Farmers. (Images courtesy of Natsume, Inc.). OR (Quentin): Why did Natsume [Inc.] want to go in that direction? CeeCee: It was actually Rising Star Games that is publishing this particular game. We totally agreed with them when they came to us and said ‘We want to make a game that is kid-friendly, that is kid-safe.’ And it always has kid-appropriate content. You’re never going to look at an iPhone bill and go ‘Hey, why did I get charged fifty dollars [for this game]?’. OR (Quentin): Now earlier this year, you brought out Harvest Moon 64 and you announced two games coming out in the near future: Harvest Moon: Wonderful Life Special Edition and Harvest Moon: Save the Homeland. Both are PlayStation 2 re-releases. CeeCee: So we were so excited when Nintendo came to us and said ‘We have Harvest Moon 64 working’. It was a little dance party in the office, because we never wanted to lose hope – but, I mean, Harvest Moon 64 is such a complicated game, programming-wise. And so we didn’t want to say ‘absolutely not’, but we were waiting a long time and we were really happy it launched. And then, we’ve been working with Sony as part of their PS2 on PS4 program, we definitely wanted to bring a couple of games out to celebrate the twentieth anniversary of Harvest Moon. So Harvest Moon: Wonderful Life Special Edition and Harvest Moon: Save the Homeland are both available now in North America and Europe on PSN. And in fact, it’s the first time that Harvest Moon: Save the Homeland is out in Europe. So that game actually did not launch in PAL territories in PS2 era, so it’s the first time they’ll see it. And just like all of the PS2 on PS4 games, it has upscaled graphics, it has lag and load reduction wherever possible, and it actually has a full set of trophies – including a Platinum [trophy]. OR (Quentin): [Trophies] on both titles? OR (Quentin): What else do we have to look forward to for the twentieth anniversary of Harvest Moon this year? CeeCee: Obviously, Harvest Moon: Lil’ Farmers is something that we wanted to bring to the parents – now that you’ve grown up for twenty years of Harvest Moon, you want your kids to play. Harvest Moon: Light of Hope [is coming out this year], and we may have a few surprises left in store, but I can’t talk about them quite yet. 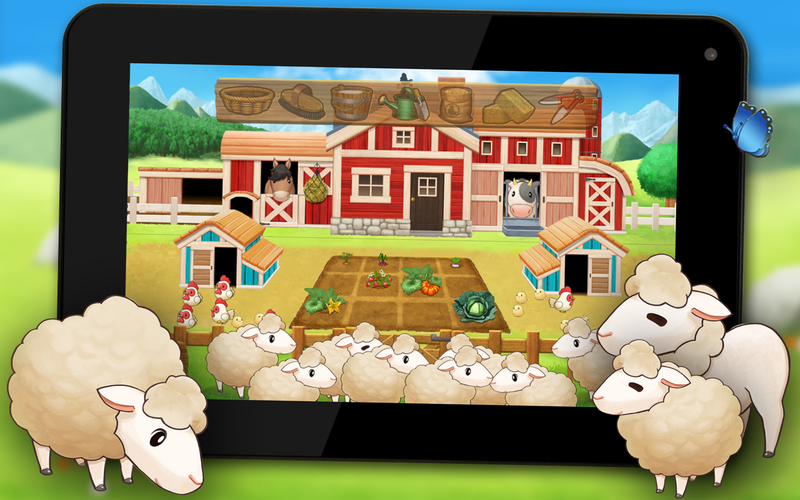 OR (Benny): Shifting back to Harvest Moon: Lil’ Farmers – there really isn’t a lot of games for a younger audience. CeeCee: There really isn’t. And in that sort of ‘edutainment’ category, that sort of, we call it a ‘playset’. Because its not really a game, its ‘edutainment’. And there’s so few games in that field that are intended for children to be fun, safe, entertainment, and not gouge the parents. OR (Quentin): Now, you announced two titles in the River City franchise: River City: Knights of Justice and River City Showdown. Before I ask anything else, are we going to be getting a physical version of River City Showdown? CeeCee: Absolutely, details to come. OR (Quentin): The first one we’re going to talk about is River City: Knights of Justice. This was originally released on the Japanese eShop in 2014. CeeCee: [River City:] Knights of Justice is a non-canon fantasy-look at the Kunio-kun series. And the idea is [that] everyone is an RPG character, but it’s all the same characters you know and love. Kunio’s still there, Riki’s still there, his girlfriend –who is a princess- is still there. And the way that I tend to describe the River City series as a genre is a brawler with RPG elements. And the way that I describe [River City:] Knights of Justice is [as an] RPG with brawler elements. You’re still running around, beating the crap out of people, but you’re doing it with swords and magic and staves. And surprise! We have a release date: June 20th! [OR Note: As of publication, this game is currently available on the e-Shop for download.] And so it will be available exclusively on the 3DS e-Shop. OR (Quentin): What regions will it be coming out for? CeeCee: North America and Europe.